Chuckling in quick Internet step at an embarrassing blunder: The Federalist, Bustle and The Observer. A gift from the Thursday gods. That’s how a Time magazine blunder is shaping up for folks on Feb. 25 point-and-post Internet duty. There will be many fun ledes addressing the inclusion by data journalist David Johnson of pseudonymous abbreviated male writer Evelyn Waugh (or in this case, Evelyn Whaaaa?) at #97 in a list of the “100 Most-Read Female Writers in College Classes.” But out of the gate, please enjoy the following three. Time magazine asks: “What do more than 1 million reading lists reveal about higher education today?” Well, what they reveal is that someone at Time shouldn’t be writing about reading lists. 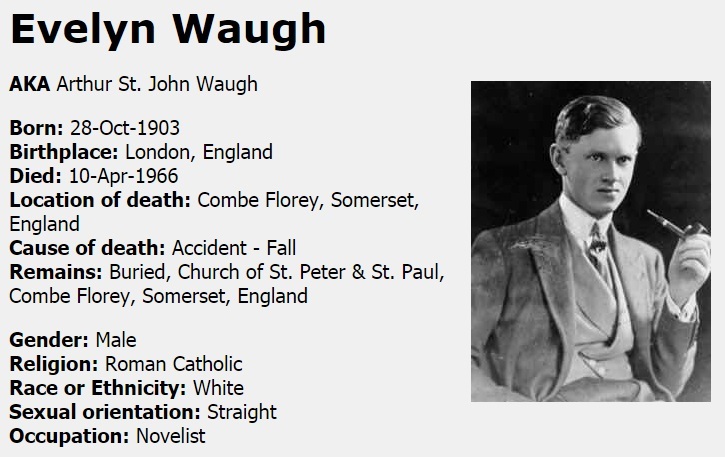 Awkward alert — Time just made the same mistake I made in high school, except the magazine did it in front of the entire Internet: Its writers thought Evelyn Waugh was a woman. It seems no one at Time Magazine has seen Lost in Translation.